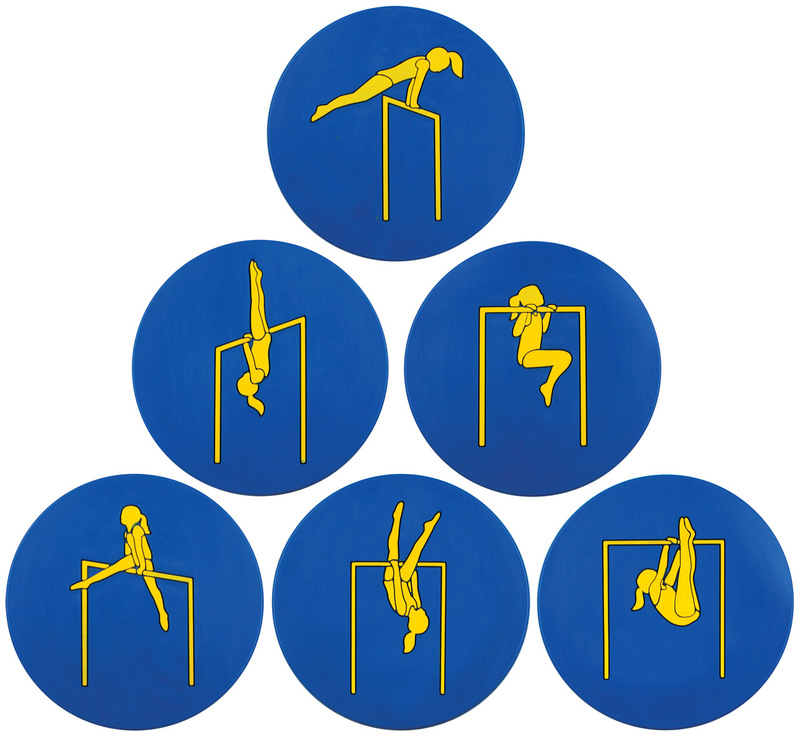 Gym Dots - Advanced Bars, set of 6 - Norbert's Athletic Products, Inc.
Set of six 9" diameter round molded blue vinyl spots with bright yellow figures help coaches focus on spotting and teaching instead of explaining and reminding students of their stations. Perfect for use in rotations, obstacle courses and as a replacement for waiting in line. 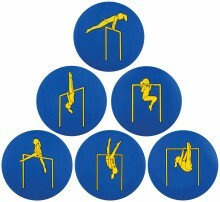 Advanced Bars set comes with the following gym dots; Cast, candlestick, tuck pull-up, stride support, stride hang and pike to bar. Non-toxic colors are permanently set during the molding process. Click the button below to add the Gym Dots - Advanced Bars, set of 6 to your wish list. All prices are in USD. Copyright 2019 Norbert's Athletic Products, Inc..